Hungry for another double-barrel buckshot of questionable writing wisdom unloaded into your brain-guts? Ohhh, I have just the thing for you, my little ink-fingered word-cobblers. 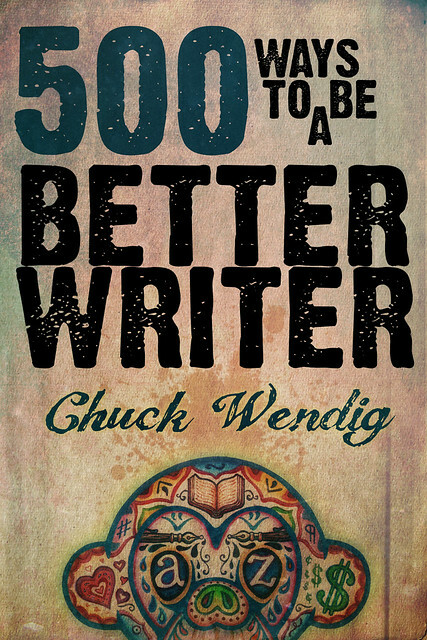 Available today: 500 WAYS TO BE A BETTER WRITER. At present, the book is $0.99 — but! That price will go up after one week (around Wednesday November 9th) to $2.99. Those who buy the PDF now are able to select a “pay what you want” price ($0.99, $1.99, $2.99) if you care to pay more for the book. Absurd? Maybe. But you’d be surprised at how often it happens that folks tell me they want to pay more than a buck for books like this. Consider it an experiment! This is the sequel to 250 THINGS YOU SHOULD KNOW ABOUT WRITING, and, as many sequels go, this one is bigger and badder — twice the size, in fact, of its predecessor. It features 20 “Lists of 25” from the blog-bound pages of this very site. Now, four of those are brand new and are not found here at terribleminds — Endings; Mood; Sleep-Deprived And Also Drunken Thoughts; and the writing exercises. All told, it’s around 50,000 words of total content. None of it is replicated from 250 THINGS. Because this is a mega-explosion of thinking and talking about writing. Got a big bad case of the writer’s block? Exposition a barnacle-crusted colostomy bag around your hip? Don’t know how to cinch that perfect ending, or describe that perfect mood? Doing NaNoWriMo and want a little something-something, some idea-coal for the story-furnace? Or maybe you just want to hear my drunken ramblings about writing? If any of those apply, then this might just be the book for you. Plus, like I said — for the next week, it’s naught but a dollar. Or — or! — maybe you say, “Well, a ding-dang-doo, that is one cute baby. I would love a guilt-soaked appeal to whatever instincts drive an adult’s need to protect a tiny big-eyed human, and if I can contribute money toward this kid’s diapers-and-college fund, then that makes me feel warm inside, like freshly-baked bread.” See? There he is, all dressed as Babyzilla. And, apparently, pointing at his crotch. So much like his father! Which is, uhh, presumably me? I do often dress like a monster and run around town pointing out my crotch, so I’d say the bloodline has manifested itself elegantly. 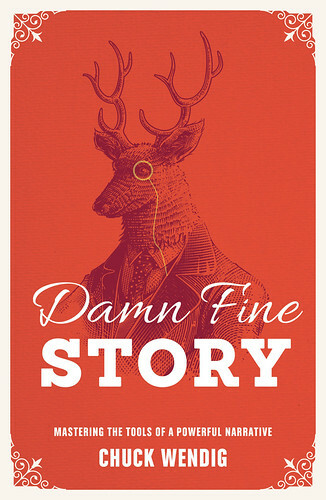 Those are just three potential reasons to procure this e-book. A hatred of money and so you must spend it as fast as you get it! A zealous love for all things self-published! An obsessive and ever-mounting collection of e-books! If you procure? Then you have my thanks. If you don’t nab a copy? I definitely do not wish a plague of bed-bugs upon your home. That would be rude of me. Now, if you’ll excuse me, I have to read this book of ancient hexes. Whyfor? Oh. Uhhh. What? No reason. Just buy the book already. I have purchased all your other accumulations of word-knowledge, so it would be just rude, if not down-right foolish, not to purchase this mighty tome of advice as well. You had me at Hungry. Heh. 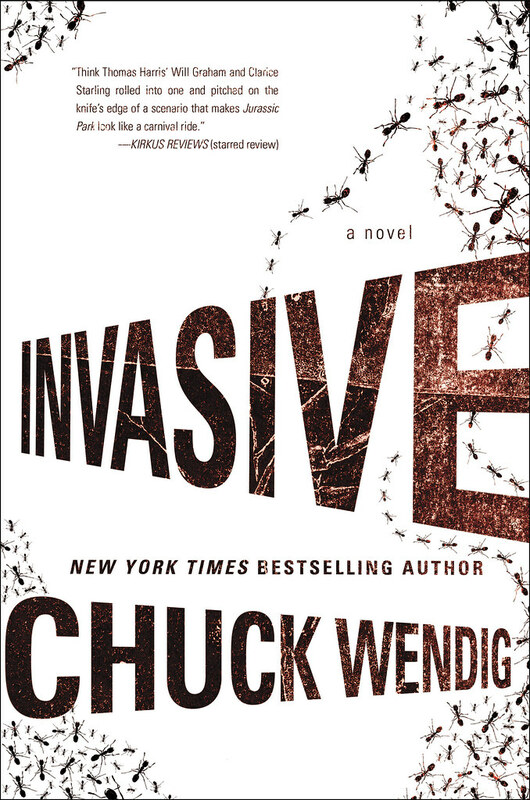 I’ll be getting this as soon as I get home from work, along with Shotgun Gravy, to complete my set of Chuck Wendig. 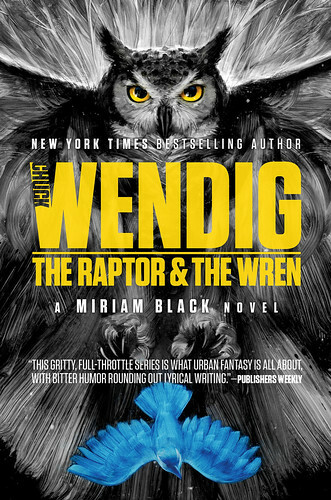 For the record, I would totally buy this in print version so I can scribble in the margins. But that’s me. In the meantime, I’ll go for the PDF and print out a copy, I guess. Thanks! He *is* pointing at his crotch! And smiling! You have to be careful when there are kids in the house. From my plastic to your pocket. For the baby. And the stompy monster blunderbuss. Congratulations on the new book. My side all already prepared to be sore from laughing too hard. $0.99? THAT’S NOT ENOUGH! I demand to pay more for such sublime word-battery and baby enabling. Put me down for a first day sale, but I’ll pick it up next week when the price is a little more reasonable. Okay, I never claimed to be too bright, but I paid my $1.99 (yes, I paid the ‘more’ price) via paypal and don’t see a link to get the book. Can you please tell me how I would get said book? Thanks muchly. I’m with Terry on that…I ordered the PDF but am not sure if you got the email addy to send it to. Slainte! FTB! Because I bought it… for the baby. Totally bought it for the baby. Don’t all males point at their crotches? All the ones I can see do. Ordered. Waiting (Patiently); you may wipe the baby slobber off of you first. My goodness he’s adorable.